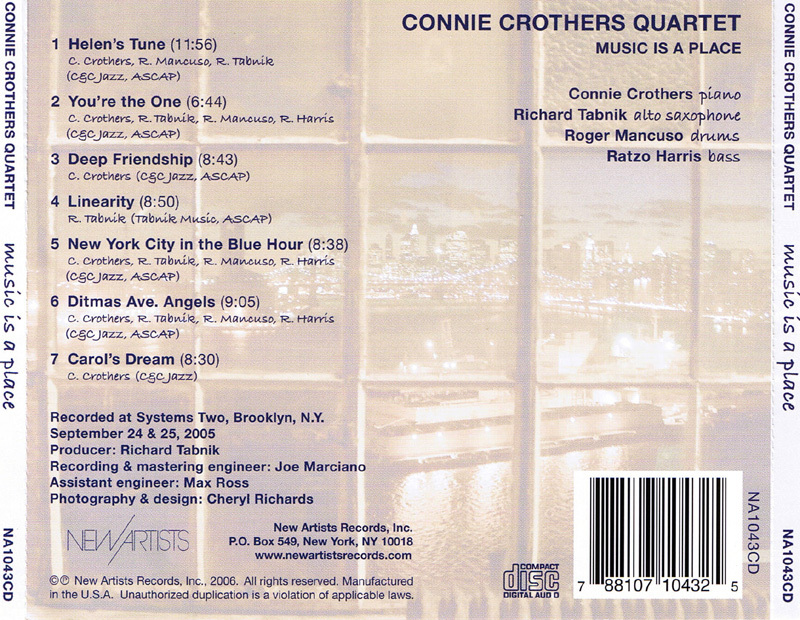 Music is a Place [New Artists 1043; USA, featuring Connie Crothers on piano, Richard Tabnik on alto sax, Ratzo Harris on bass and Roger Mancuso on drums. 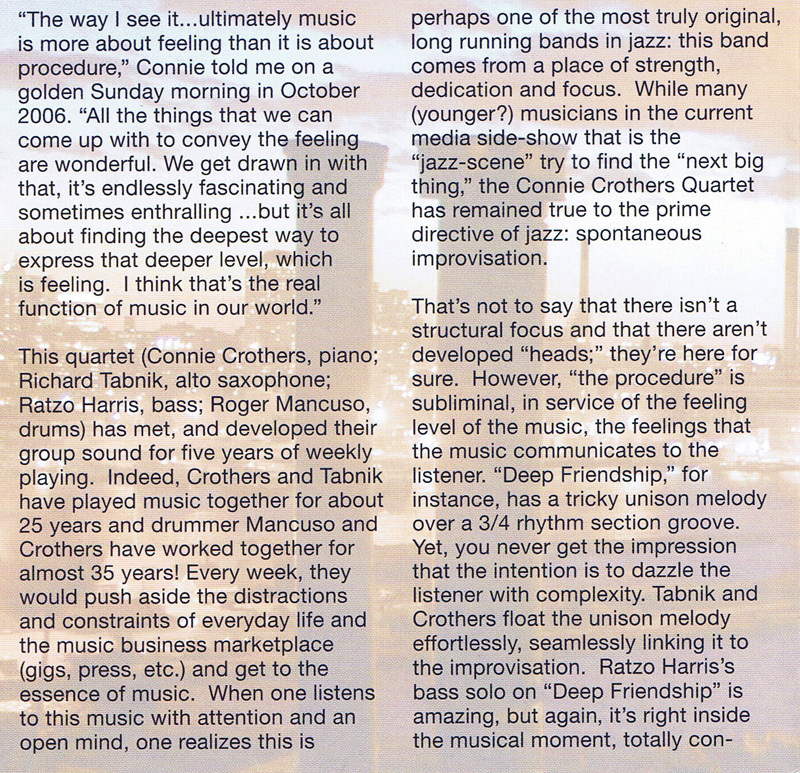 Although pianist and composer Connie Crothers studied with the influential pianist/composer/philosopher Lennie Tristano so many years ago, she continues to be associated with Tristano and his other students or collaborators. The thing is, Ms. Crothers has continued to evolve and has some dozen discs out as a leader. Each one a worthy gem to consider. 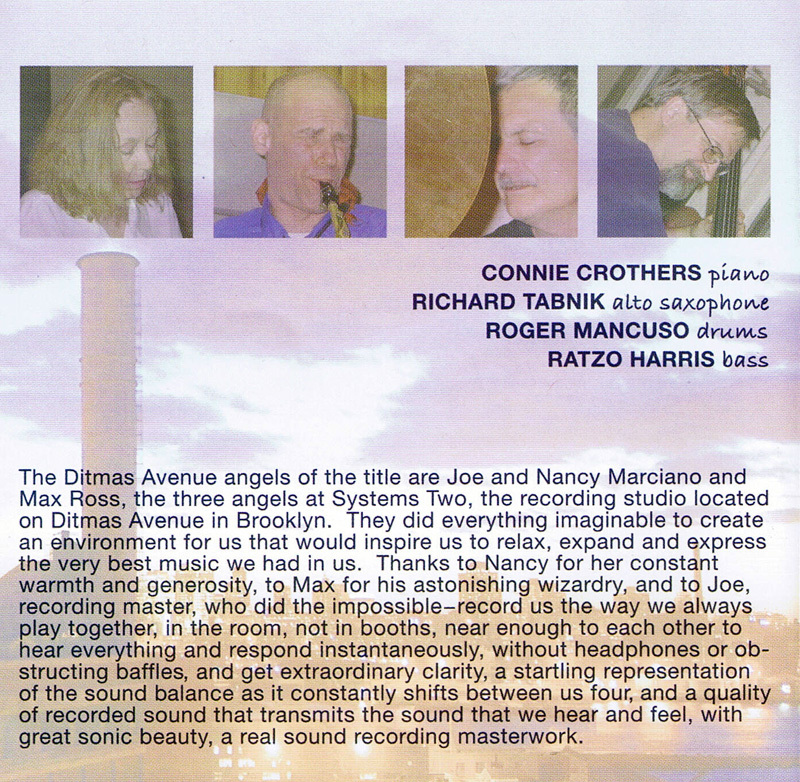 She has worked with members of this great quartet for quite a long time, Tabnik for 25 years and Mancuso for 35 years. This particular quartet has worked together weekly for the past five years. You can hear the proof in the pudding as there is a special bond that links this group together. Each of the seven pieces was composed by members of the quartet and each is special in a different way. With Music Is A Place pianist Connie Crothers has created an enduring work, a crystallization and clarification of her musical aesthetic. Featuring longtime colleagues Richard Tabnik (alto) and Roger Mancuso (drums) along with veteran bassist Ratzo Harris, the disc contains a set of originals that explore the interzone between pre- and free composition, a mix of straight-up swing rhythms, blues inflections, cool-school instrumental timbres and emotional reserve, along with a predilection for controlled chaos. The accent here is on compatibility and democratic interplay. 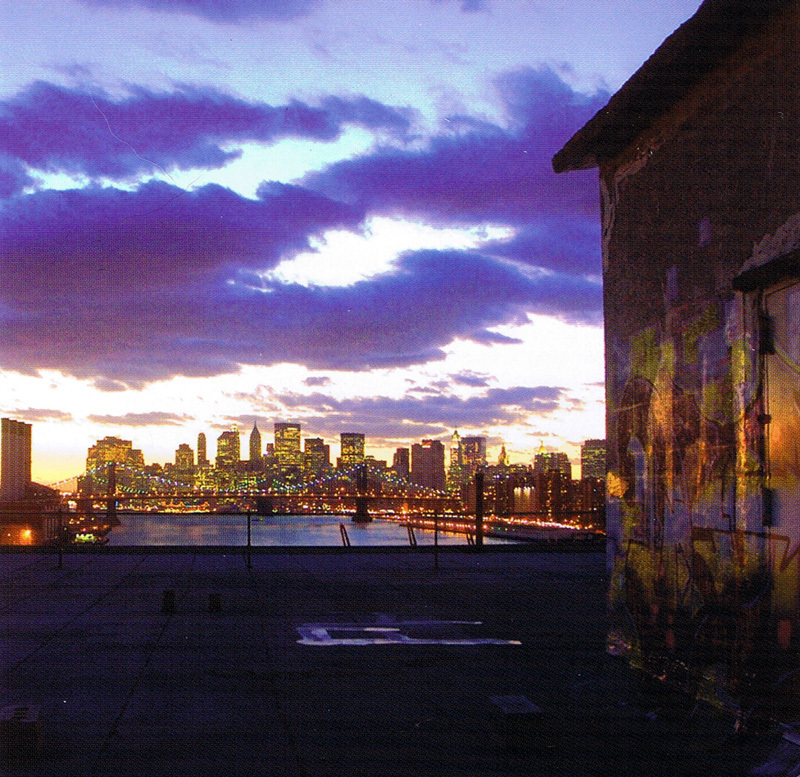 Crothers and Mancuso, in particular, are highly simpatico; their dialogues sound like the culmination of many previous conversations, unplanned yet well prepared for in the course of their ongoing relationship. 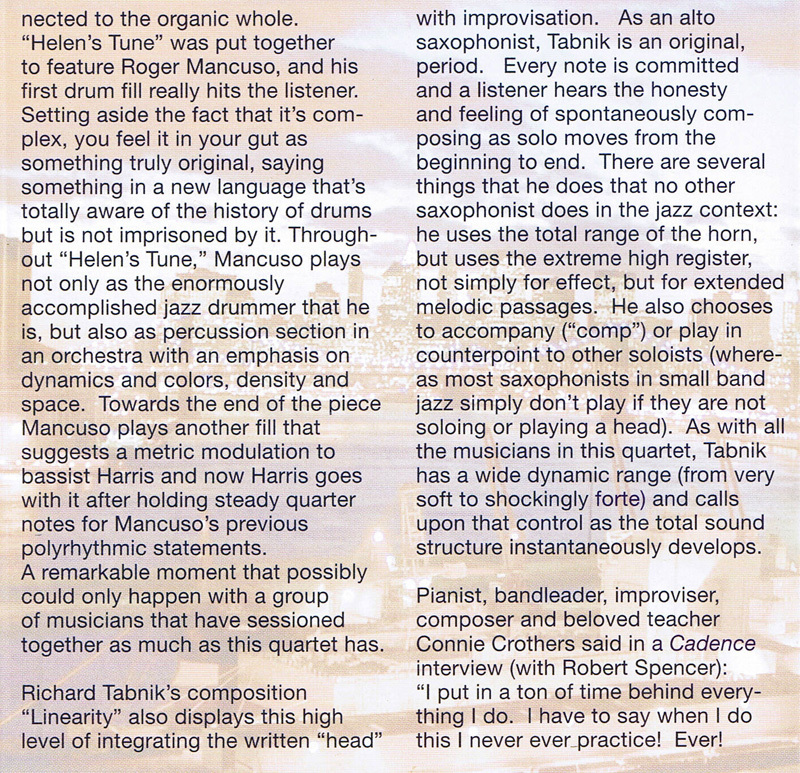 Mancuso plays out of a swing bag but within these limitations his concept is extremely creative, mixing it up even as he implies a firm rhythmic foundation. Harris combines fluid legato articulations with a robust sound. Tabnik is a highly original altoist, his style ranging from calm geometric precision to violent meteorological storms; one of his best moments is an inspired solo during “Carol’s Dream” that stems from the jazz tree but grafts fresh fruit to the limb. 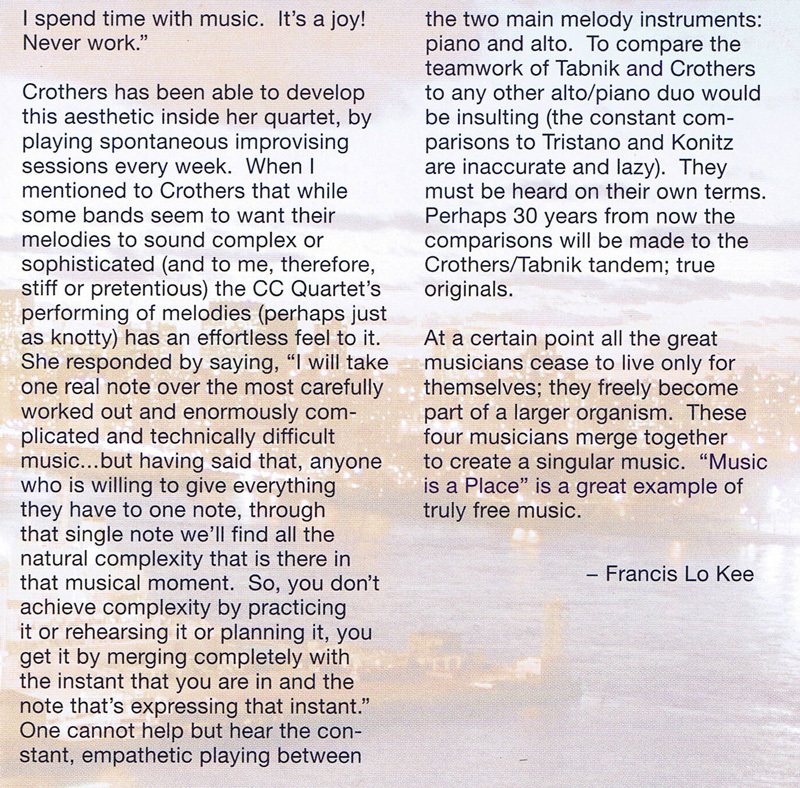 Tabnik and Crothers’ unison melodies are uncanny, tightly integrated yet creating the illusion of free improv; a few of the “tunes,” notably “You’re the One” and “Carol’s Dream,” sound as if they were created off-the-cuff. The comping by various group members is often so active that it blurs the roles of soloist and accompanist. Music Is A Place is a wonderfully elastic combination of groupthink and individuality, constraint and freedom, probability and possibility.